Havyard Design & Solutions will deliver ship design for further two cargo vessels for Royal Arctic Line A/S. The vessels will be built at Nodosa Shipyard in Pontevedra, Spain. This will be the third and fourth cargo vessels that Havyard Design & Solutions delivers to Royal Arctic Line A/S. The design is of the Havyard 971 type, which is smaller than the first two vessels. The ships will bring food supplies and other essential items to small villages without road connections. ‘These two vessels are an important addition to our strategy to renew older vessels, and, not least, to the infrastructure on Greenland,’ says Head of Fleet Management Anders Bay Larsen. The vessels will operate in northwest Greenland, which makes stringent requirements of the vessels' design, as they must operate in a rough climate, sail in and out of small shallow ports, and meet ice class requirements. Havyard 971 was developed in close collaboration with the shipping company in order to meet these requirements. Caption: In front: Director Anders Bay Larsen, Royal Artic Line. 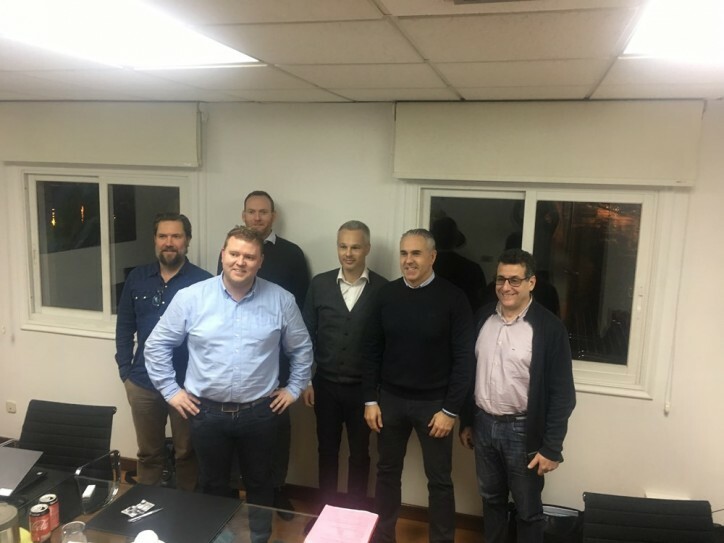 In back from left: Senior Designer Kenneth Hjelmeseth, Havyard Design & Solutions, Engineering Manager Petter Frøystad, Havyard Design & Solutions, Sales Manager Gisle Vinjevoll Thrane, Havyard Design & Solutions, CEO Daniel Dopico, Nodosa, Technical Manager Jorge Luis Sanchez Barro, Nodosa. Photo: Havyard. 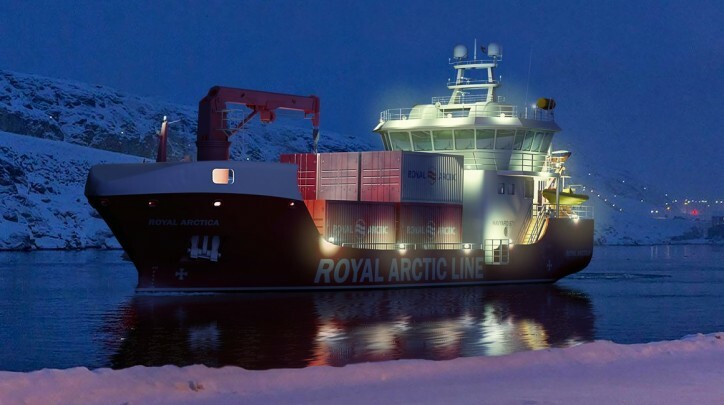 ‘Our collaboration with Royal Arctic Line A/S has been very fruitful, and we are very pleased that they have chosen us once again to deliver the design for their vessels,’ says Senior Vice President Sales Gisle Vinjevoll Thrane. The first vessel is scheduled to be delivered at the end of 2020, and the second vessel is scheduled to be delivered four months later. Royal Arctic Line has chosen Nodosa Shipyard due to their competitiveness and high quality of construction standards. The cargo vessels have two cargo holds with different temperature zones, from -25 to +10°C. The total cargo capacity is five containers or 60 pallets. The vessel measures 37.6 x 10 metres.